In honor of Cinco de Mayo I chose the Margarita as this weeks cocktail. First time I had one was 25 years ago at a Mexican restaurant in Seattle. I was overwhelmed both by the size of the thing and the taste. 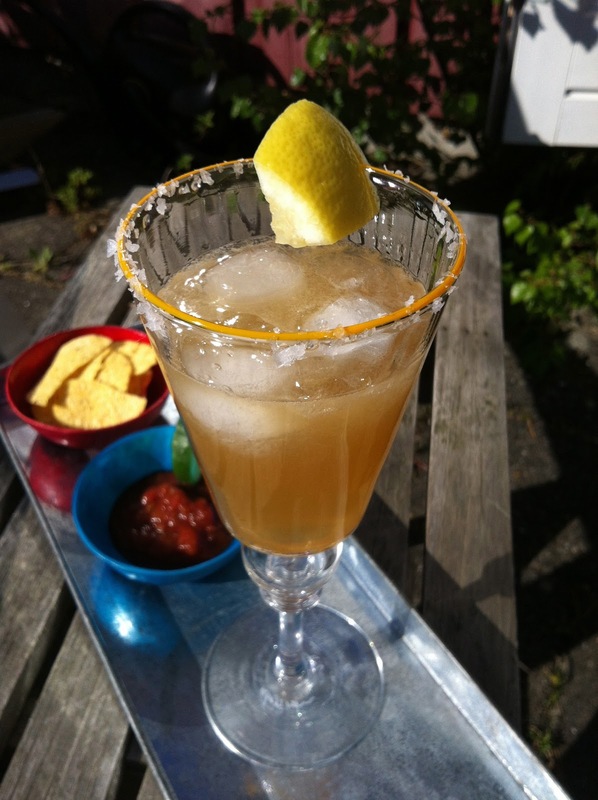 When I got back to Denmark I had packets of sour mix with me and dazzled my friends with this exotic drink using the cheapest tequila I could find and topping the whole thing of with Seven Up. Haven't had one since. Read a bit about the history of this cocktail - enjoyed David Wondrich's explanation the most and took my inspiration from the recipe in the PDT book. Shake everything with ice and serve in glass with a salt rim and a piece of citrus for a garnish.